Before you order a 1 kg beef steak next time, think twice. 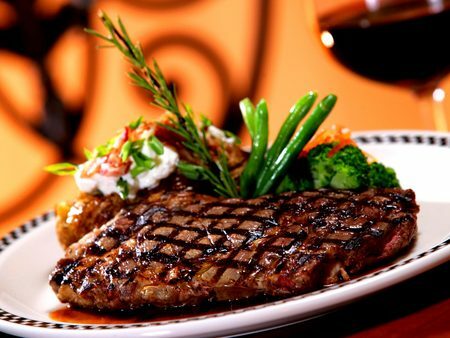 You could be polluting the environment more than driving to the steakhouse. The Dutch and Austrian scientists have used science to access the impact of beef consumption on the environment and have come up with some quantifiable figures. For instance, in Brazil, an average 335 kg of carbon dioxide is released into the atmosphere for every kg of beef produced. To put things into perspective, that is equal to driving an Audi A7 3.0 TDI, which is giving out CO2 at a rate of 152g/km, for 2203km! On the other hand, eating beef produced in the Netherlands is less sinful. It equates to 22kg of CO2 produced for every kg of meat. The farmed animals produce massive amounts of manure, which emit green house gases such as methane, nitrous oxide, and carbon dioxide. Cows emit huge quantities of methane via burping and flatulence. Methane has 23 times the global warming potential of CO2. Forests are being destroyed to make room for cattle to graze or to grow crops to feed livestock. When the trees are cut down or burned, the CO2 they store escapes back into the air. Growing feed for farmed animals requires intense use of synthetic fertilizers manufactured with fossil fuels. This process emits a tremendous amount of CO2, and the fertilizer releases nitrous oxide � a greenhouse gas that is 296 times more potent than carbon dioxide. If you are someone who has a heavy right foot, perhaps you can redeem yourself by consuming less beef.